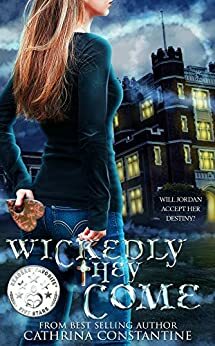 Haunting visions and supernatural talents are the norm for the sixteen-year-old warrior, Jordan and her mother Seeley. Together with their formidable angels they find themselves in peril when a wicked sorcerer is determined to fulfill the prophecy to his lord, Lucifer. After an ominous vision of spirits inhabiting teenagers in a local school, Jordan enrolls in the social culture of teendom at Elma High to combat soulless demons. She encounters Mark, a mysterious new classmate, who is hell bent on keeping her unscathed from the forces of evil. The battle between Heaven and Hell is escalating—and Earth is their battleground.